Richard has a leadership role in his local church and enjoys long distance running, swimming and rugby. 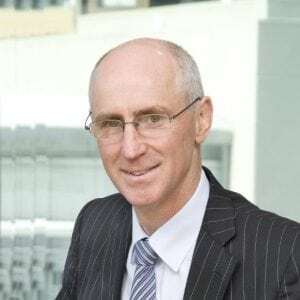 Richard founded Hewsons and built it into one of Australia’s leading edge executive coaching organisations with a proven track record for success across many industries. Richard has been coaching CEOs and senior executives for over 20 years. This experience, combined with the depth travelled along his journey has given him considerable abilities, insights and knowledge of most of the outcomes, issues and demands faced by today’s executives. Clients include AAMI, ABB, Accenture, ATO, Aurecon, Australia Post, Boral, Caltex, CBA, Cisco Systems, Citywide, Covermore Insurance, DLA Piper, Fantastic Furniture, Freehills, IAG, Johnson & Johnson, Jones Lang LaSalle, Kellogg Brown & Root, Qantas, Royal Wolf, SAP, Steadfast, Suncorp, UXC, Westfield and Westpac. Richard has over 30 years experience in managing businesses and similarly has been involved in research and development in people performance and executive coaching. He previously worked in the insurance and superannuation industries where he was credited with bringing a particular insurance agency into the top 3% in the world for over seven consecutive years. He is also highly experienced and successful in sales and business development. Working with organisations, companies and individuals in diverse industries and contexts. Designing and delivering one-on-one engagements. Empowering the leadership of an organisation to lead powerfully, confidently and effectively. Developing people’s leadership skills, combined with their integrity in ways that empower people to perform to desired levels. Creating high levels of relationship and trust in a very short period of time which in turn creates an environment where people experience that it’s safe to communicate what is not being communicated and, where necessary, to resolve any differences they have with velocity. Being able to rapidly identify what will make a difference to individual performance. Enables executives to authentically confront ineffectiveness and develop more effective thinking, behaviours and strategies that liberate themselves and others to higher levels of performance. Enabling leaders to confidently engage their people to perform at higher levels beyond the past and the predictable. Developing people’s latent leadership skills, and their capacity to have a grounded and empowering relationship to results and integrity. Enhancing capability to; lift sales, handle challenging situations and people, have productive stakeholder relationships locally and internationally, be less stressed. Greater proficiency to resolve conflict creating new levels of honesty and openness. Development of leaders who are ‘being’ leaders versus ‘doing’ leadership. "Trust is the emotional glue that binds followers and leaders together." "My Hewsons coach has been a great support for me personally and professionally. His advice has been invaluable, given the significant challenges that I have had in my CMO role at Qantas. It is very helpful to have an independent perspective on issues that you can get too close to. Hewsons has a number of powerful tools and frameworks that help you discover solutions to almost any problem."